Welcome to the 23rd century! 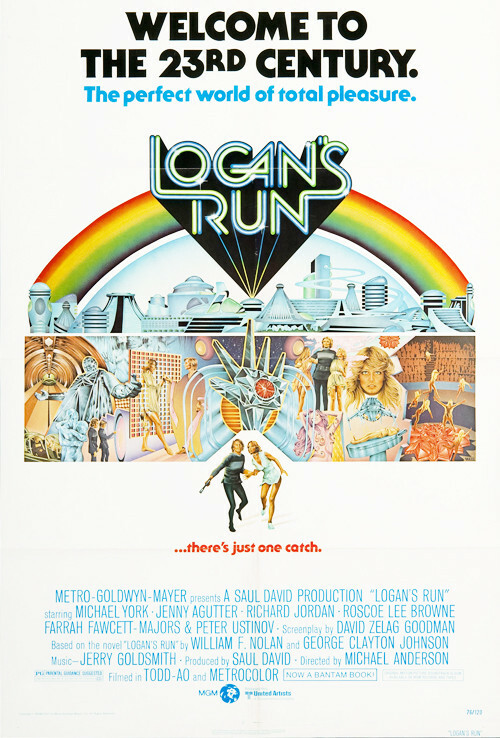 Join the Popcorn Poops as they watch and discuss Michael Anderson's 1976 film LOGAN'S RUN. This week's movie was Jessica's pick. Tune in and listen to Dustin and Jessica chat about the good and bad of this seminal science fiction classic. How do the miniatures stand up to todays standards? Do the plot and character motivations make sense? Who is the real MVP of this production? Listen in and find out! Subscribe on iTunes, Stitcher, and anywhere you get podcasts. Leave a rating and review on those platforms, and it may get read on the show. Follow the podcast on Twitter and like the Facebook page to receive updates about the show, including a weekly movie screenshot identification game. Questions, comments, suggestions, and movie requests can be directed at our social media outlets or sent to our email address. If you'd like to support the program, please visit Audible for a free audiobook and 30-day trial of their services. Please use the link provided so they know who sent you.